Plastic Dustbins, designed by us, are available in varied sizes and colors to fulfill the specific demands of the patrons. We have been developing the range from the optimum quality raw materials to ensure sturdiness and durability. The range comes at the best prices within the decided time frame in tailor made specifications. Our durable and sturdy range is ideal to use for a long time without ant abrasion. In addition to this, robust structure with heavy duty design of the range ensures no wear and tear for years to come. 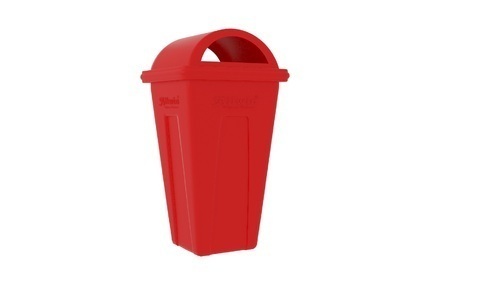 Our Plastic Dustbins are sure to fulfill the exact demands of the patrons with the best features. Came into existence in the year 2006, we Allwin Roto Plast, are considered to be among the prominent manufacturers and exporters of Insulated Ice Box, Fish Totes, Insulated Containers, Molded Plastic Pallets. To meet the desired expectation of our clients, we have established a well-equipped infrastructure facility that is spread over a wide area of land. By using advanced tools and machinery, our professionals manufacture the offered pallets & boxes and tanks by using quality assured plastic and latest machinery.